A single family residence for a site in the rural Virginia Piedmont is inspired by the architecture and monumental nature of ruins in the agrarian landscape. Virginia’s well known colonial era ruins of Barboursville, Rosewell, and Menokin plantations are notable examples and there are countless others scattered throughout the region. But, often when traveling through the rural landscape here, one happens upon a single brick chimney emerging from an overgrown meadow among remnants of old walls, muted yet salient fragments that remain of a long abandoned farm. The house envisages what it would be like to re-inhabit such a place – reclaiming the ruin and building among it. That is the inspiration here. 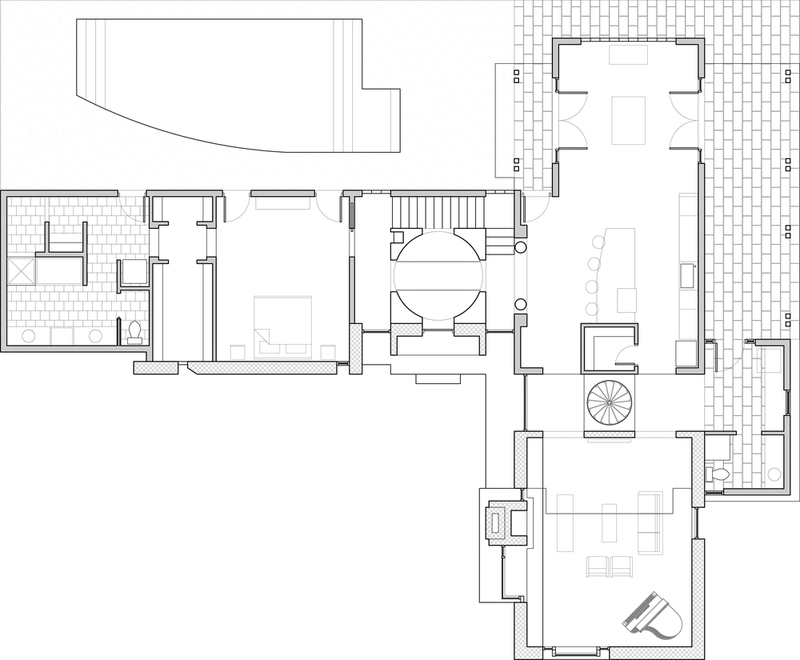 The plan is an L-Shaped arrangement with two walls of natural lime stucco covered thick masonry arranged to frame an entry court and a contrasting manganese ironspot brick chimney. Beyond this, is a wood framed house clad in painted clapboard and accents of Corten steel with a master suite at its west end, a cylindrical central gallery, and an open living area. 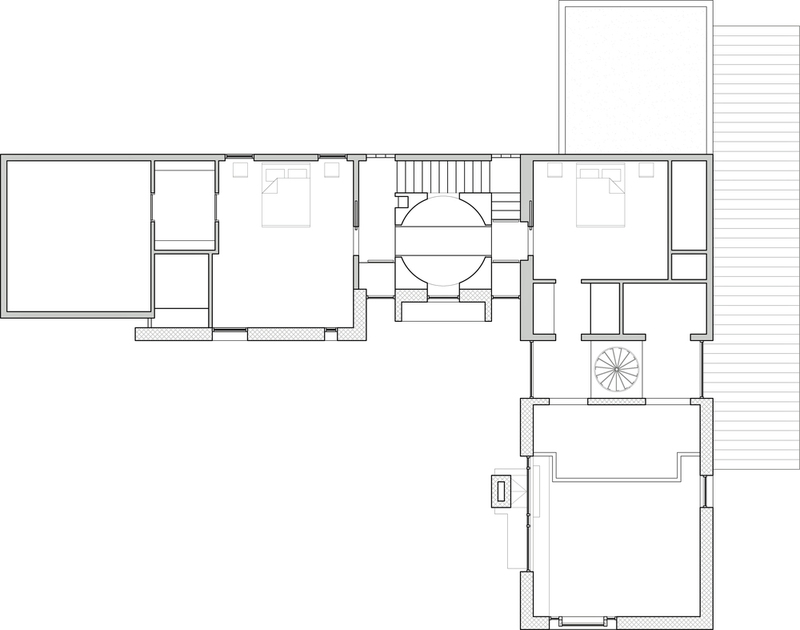 Two additional bedrooms, a storage room, and a home studio mezzanine occupy the upper floor. A rear terrace is laid out on axis with the dining room and is accessible from the master suite.